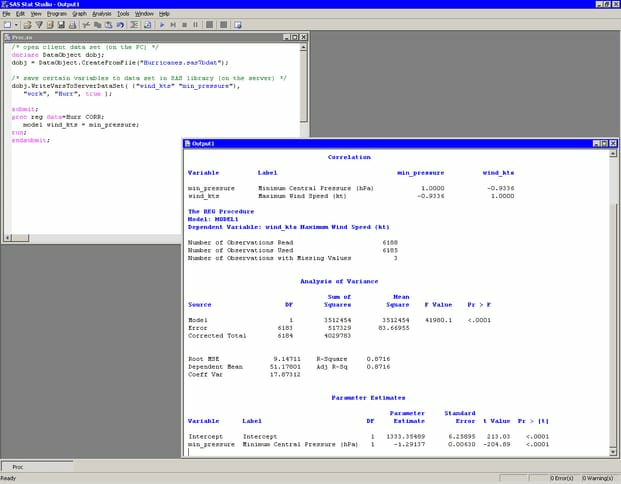 The REG procedure displays its tables in the SAS/IML Studio output window as shown in Figure 4.1. From the output you can see that the correlation between these two variables is . The R-square value is 0.8716 for the line of least squares given approximately by .